AMELS has the largest superyacht yard in the Netherlands, delivering luxury creations renowned worldwide for absolute top craftsmanship, design, quality and complexity. These are also the main factors that motivate our employees. Our busy yard in Vlissingen offers an excellent future for young, ambitious (technical) professionals. AMELS has the largest superyacht facility in the Netherlands, ensuring smooth design, engineering and production with up to 900 men and women at work. Shipbuilding at this level is highly challenging and requires innovative, dedicated team players. At AMELS you will enjoy a fantastic working environment and excellent prospects as part of the global DAMEN Shipyards Group. We work closely with DAMEN, leveraging the very best facilities for naval architecture, ship modelling and engineering research and development. We are a shipbuilder who builds yachts, rather than a yacht builder who builds ships. AMELS is proud to be celebrating its centennial milestone. A century of craftsmanship which has seen AMELS evolve from its origins as a Dutch boat builder into the largest luxury yacht building yard in the Netherlands. 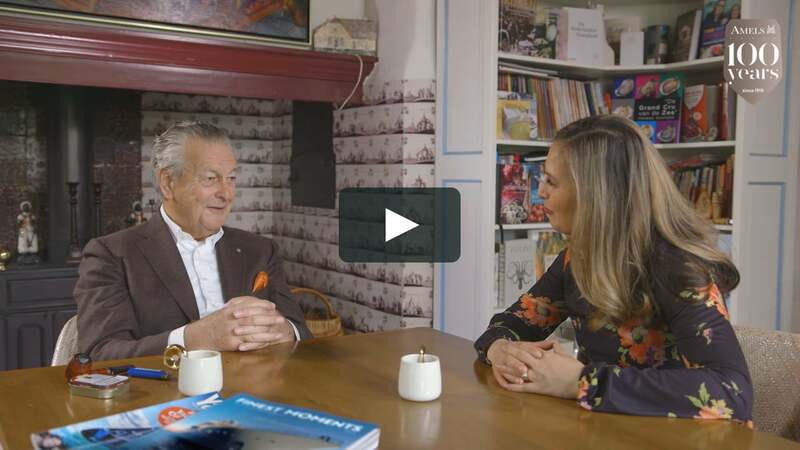 Watch the interview between Rose and Kommer Damen about AMELS. "Your career at AMELS - the best years of your life"